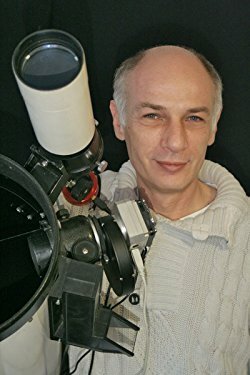 In his new book, Shoot the Moon, astrophotographer Nicolas Dupont-Bloch explains and demonstrates how you can capture impressive images of our nearest neighbour in space using a variety of different techniques. 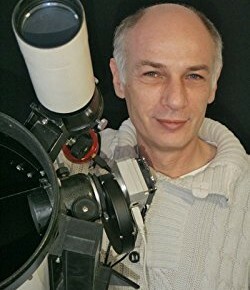 Covering equipment ranging from smartphones and DSLRs to specialist planetary cameras, whether you are a novice without a telescope, an amateur developing your skills in imaging, or an experienced astrophotographer, you will benefit from the author's expertise. Here, he offers fifteeneightyfour readers some exclusive top tips on capturing that perfect lunar image. 1: The atmospheric turbulence and the temperature (and possibly the alignment of the optics) vary during the night. To ensure the sharpness of your images get your telescope well collimated. Check the focusing. Then re-focus. Then shoot. Then follow the whole sequence again. 2: It is very difficult to get sharp images when the light path is disturbed by hot, turbulent air low on the horizon, like turbulences above a camp fire. Shoot with strong magnification and only through stable air, for example when the Moon is high. 3: Adapt the sampling rate to the turbulence and instrumental performance. This will help you get the best resolving power given the optics and the atmospheric turbulence. 4: Wait for reflectors larger than 4 inches to cool down, even at low magnification. This will avoid air turbulence inside the telescope which blurs the images. 5: Use a green filter to fix chromatism. This will strongly diminish the main flaw of debut refractors, providing sharper images at the price of an acceptable loss of incoming light. 6: Use a red or infrared filter when the Moon is low. Light scattering caused by turbulence is less important in such colors, even if the best solution is to shoot the Moon when it is high. 7: Processing is to improve the readability of a good image. The main part of the job was already done while shooting. Processing enhances contrast at different scales of an image and may provide striking results, but this cannot repair an already blurred, original image. 8: The full Moon is widely neglected because craters do not show cast shadows ; however ray systems, some volcanic features and differences in the lunar soil are emphasized. But the full Moon is dramatic, don’t overlook it! 9: Make comparisons by stacking and processing the same image sequence with different parameters and software and share them at your local astronomy club. 10: Lowering the magnification unveils low-contrast, large lunar features, while increasing the magnification is necessary to capture the tiniest details at the price of a uniform, grayish lunar soil. Shooting with different magnification brings more information about the same lunar feature. Play with the instrumental contrast by adapting the focal / diameter ratio.